Find us, and like us, on Facebook by clicking here. 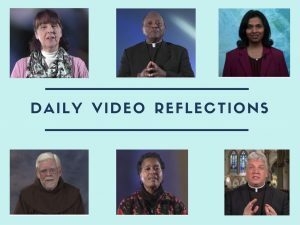 This is a great way to connect with inspirational messages and other information about the parish and about a variety of Catholic topics. Join Fr. Fedor during the seasons of Lent and Advent as he reflects on the Sunday readings for each season. Please see the Parish Calendar for dates and times. Led by Dr. Tom Sauline, our Bible study meets on Tuesday mornings at 9:30am. The group does not meet during the summer. CLICK HERE for a Spanish version! Growing Families is an adult religious education program that is offered at the same time as our Sunday CCD program. Click the logo for more information. The First Friday Club is an adult faith formation luncheon for everyone. The mission of the First Friday Club is to integrate the principles of religion into everyday life and work. They do this by attracting the very best speaking talent locally, nationally, and internationally every month on the first Thursday of the month. The programs are outstanding, and the price, only $16, includes a wonderful lunch buffet at The Georgetown on South Ave. in Boardman. All lunches begin at 11:30 AM and the program ends by 1:00 PM. 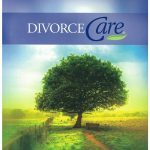 DivorceCare is a comprehensive divorce support ministry that includes expert input, participant discussion, and a manual for further reflection at home. Anyone experiencing separation or divorce is invited to participate for the 12-week program. Visit our Home Page and scroll to the bottom to access Catholic News, Movie Reviews from a Catholic point of view, and a Saint of the Day reflection. These feature updates regularly!